At that time Jesus left [Samaria] for Galilee. For Jesus himself testified that a prophet has no honor in his native place. When he came into Galilee, the Galileans welcomed him, since they had seen all he had <done in Jerusalem at the feast; for they themselves had gone to the feast. Then he returned to Cana in Galilee, where he had made the water wine. Now there was a royal official whose son was ill in Capernaum. When he heard that Jesus had arrived in Galilee from Judea, he went to him and asked him to come down and heal his son, who was near death. Jesus said to him, “Unless you people see signs and wonders, you will not believe.” The royal official said to him, “Sir, come down before my child dies.” Jesus said to him, “You may go; your son will live.” The man believed what Jesus said to him and left. While the man was on his way back, his slaves met him and told him that his boy would live. He asked them when he began to recover. 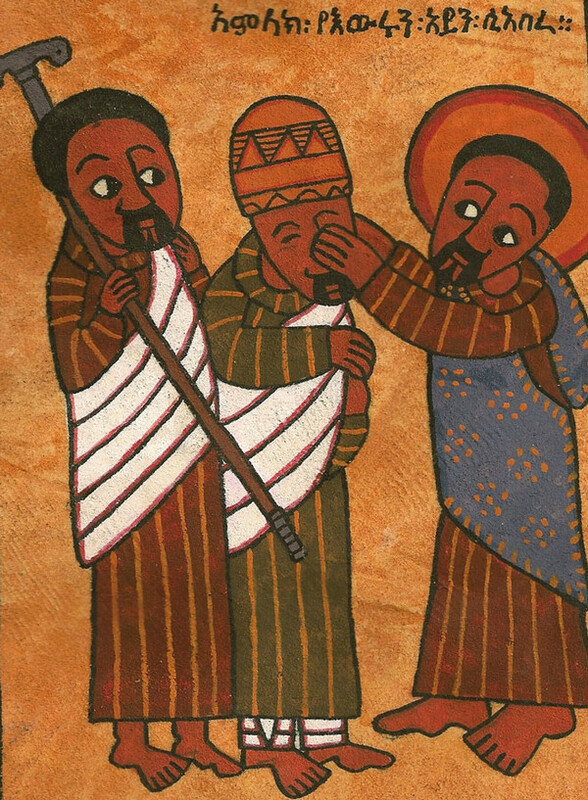 They told him, “The fever left him yesterday, about one in the afternoon.” The father realized that just at that time Jesus had said to him, “Your son will live,” and he and his whole household came to believe. Now this was the second sign Jesus did when he came to Galilee from Judea. Reflection on the gospel reading: The word that Jesus speaks is a word of life. From the moment this father asks Jesus to save his son, the promise of life returns to the son. It is the encounter with Jesus that saves us. 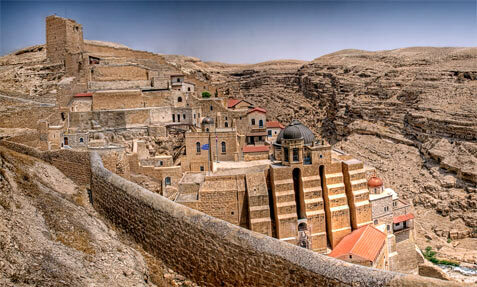 Saint of the day: St. Stephen of Mar Saba was born in about 725. At the age of 10, Stephen came to the Palestinian monastery of Saint Sabas (Mar Saba), where for the next 14 years he received his spiritual and intellectual formation from his uncle, the Church Father Saint John of Damascus. Stephen became a monk and was ordained to the priesthood. Once, while celebrating the eastern rite of the Eucharist, as Stephen elevated the Eucharist and recited the words, “Holy things to the holy,” the monastic cell in which he was celebrating the liturgy was filled with a brilliant light that emanated from the celebrant himself. From that occasion onward, he received the mystical favor that whatever intention he prayed for during the Eucharistic liturgy was granted. He obtained permission to live as a hermit, combining this vocation of solitude with an active apostolate of praying for the needs of others. He had a special love for animals, feeding out of his hand doves, starlings, and deer. His compassion for the lowly black worms that crawled through his hermitage prompted him to gather them into a spot where they would be safe from being trampled upon. 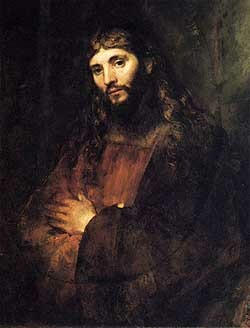 Despite his calling to prayer and quiet, Stephen displayed uncanny skills with people and was a valued spiritual guide. As Jesus passed by he saw a man blind from birth. His disciples asked him, “Rabbi, who sinned, this man or his parents, that he was born blind?” Jesus answered, “Neither he nor his parents sinned; it is so that the works of God might be made visible through him. We have to do the works of the one who sent me while it is day. Night is coming when no one can work. While I am in the world, I am the light of the world.” When he had said this, he spat on the ground and made clay with the saliva, and smeared the clay on his eyes, and said to him, “Go wash in the Pool of Siloam” —which means Sent—. So he went and washed, and came back able to see. So a second time they called the man who had been blind and said to him, “Give God the praise! We know that this man is a sinner.” He replied, “If he is a sinner, I do not know. One thing I do know is that I was blind and now I see.” So they said to him, “What did he do to you? How did he open your eyes?” He answered them, “I told you already and you did not listen. Why do you want to hear it again? Do you want to become his disciples, too?” They ridiculed him and said, “You are that man’s disciple; we are disciples of Moses! We know that God spoke to Moses, but we do not know where this one is from.” The man answered and said to them, “This is what is so amazing, that you do not know where he is from, yet he opened my eyes. We know that God does not listen to sinners, but if one is devout and does his will, he listens to him. It is unheard of that anyone ever opened the eyes of a person born blind. If this man were not from God, he would not be able to do anything.” They answered and said to him, “You were born totally in sin, and are you trying to teach us?” Then they threw him out. Some of the Pharisees who were with him heard this and said to him, “Surely we are not also blind, are we?” Jesus said to them, “If you were blind, you would have no sin; but now you are saying, ‘We see,’ so your sin remains. 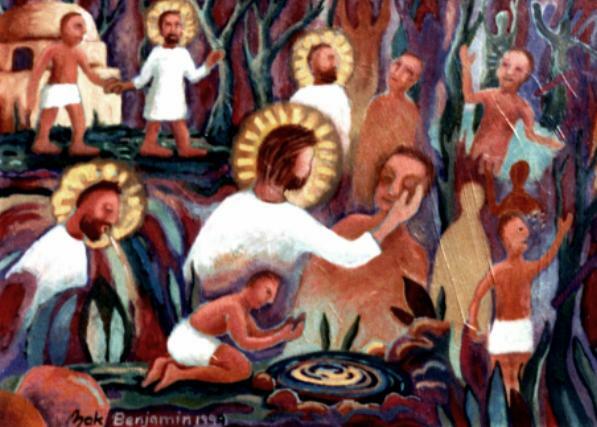 Reflection on the gospel reading: We read today about a vision that changes lives. This is a sightedness that obsessively, dangerously, undeniably reaches into the very core of our beings. This is a seeing that of itself makes us entirely new. I have read that one of the Dalai Lama’s heroes is a Belfast man who, when he was a boy coming home from school one day, was shot and blinded for life by a British soldier. When Richard Moore returned home from the hospital, his mother took him aside to tell him two things. First, that he would never see again, and secondly, that he must never hate the British. Moore grew up to found a charity for children suffering from violence and conflict. He presents for us a living witness to what the teachers of non-violence, people like the the Dalai Lama, Mahatma Ghandi, and Martin Luther King, insist: that it is possible, however impossible it may seem, to transcend the instinctive reactions of hatred and revenge that arise and usually master us after we have suffered at the hands of others. The most important way of achieving what seems impossible is to see it. Once seen and experienced anything, however out of reach it appears, the vision we have enjoyed enters the realm of possibility. To see in this way we have to close our eyes to the illusory images that are in truth forms of spiritual blindness. Though Richard Moore lost his physical eyes, the eyes inside his spirit perceive reality with a clearer vision than many of us enjoy who benefit from the play of light on our retinas. 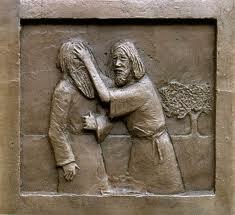 When in today’s gospel Jesus heals the man blind from birth, he is not working at the physical level alone. With his sight restored, the man comes to see with a clarity and vividness that fills him with the courage and decisiveness that only the truest vision of reality can awaken in us. We are invited to open our eyes to receive a vision. And this vision will inspire in us an animating faith. As our faith deepens, our vision becomes clearer; and when we see vividly enough, we recognize that we have already changed our direction. The actual instant of change, like that of a resurrection from the dead, is always hidden in the moment when the degree of vision reaches the critical point. We can never see God as an object but only by a participation in God’s vision of us that, as we sometimes too reluctantly admit, is not the end of the story but part of an infinitely larger picture than we can imagine. So what is the vision that opens our interior eyes to God’s vision of us? The vision is Jesus. Obsessively, dangerously, undeniably Jesus. In the last Sunday before we begin Holy Week and follow the way of the Passion, Death and Resurrection of Jesus, today’s readings look ahead to Easter in that they all deal with resurrection in some form. In Jesus’ time medicine was so primitive that they often could not distinguish between death and a person being comatose. There were several stories of people being buried alive because of this. However, the Jews wanted to make sure this never happened and they did this by checking on the body every day for three days, just to make sure it was dead. After the third day, the body would start to decompose and smell, and so they felt it was safe to declare it dead. It is interesting to note that the point was made that Lazarus had been dead for four days. He was really dead, and wasn’t going to get up and walk around. He smelled. His sisters would do shivah, mourn Lazarus for seven days by sitting in the house, praying, mourning and having visitors join them in this. Normally, they would not leave the house and meet a guest. An exception to tradition was made in the case of Jesus, however. Martha left the house to meet Jesus. Now Jesus had taken his time getting to Bethany where Lazarus was, even though the sisters had sent for him and let him know about Lazarus’ illness. This seemed very planned out in Jesus mind – he informs the Apostles first that “this illness does not lead to death.” He knew that in the end, there would not be death. And he saw a greater purpose for what was to happen. The theme that good things can come from bad things happening resonates all throughout the Bible, from Abraham setting out to kill his son, to Joseph being thrown into a pit and left for dead, and to Moses being cast out onto the waters. The Church has a Latin phrase to describe this – felix culpa – happy fault, when something bad leads to something good, and applies it to Adam’s sin which causes God to send Christ to redeem us. Jesus knew there would be a happy ending to the Lazarus story and that it would also be a pinnacle of proof for who he really was – the awaited Messiah. When Jesus arrives Mary and Martha show their disappointment in Jesus when they say – “if you had been here, my brother would not have died.” They knew and believed that Jesus was a healer and that he could have healed Lazarus. This allows Jesus to preach the most revolutionary teachings that he proposed so far – eternal life through Him. When Jesus tells Martha that he will rise again, she thinks he is talking about more recent Hebrew teachings that there will be a final day of resurrection for all living things, found in the Book of Daniel. But Jesus says, no, that isn’t what he means. “I am the resurrection and the life. whoever believes in me, even though they die, will live, and everyone who lives and believes in me will never die.” Martha has always had a deep faith in Jesus and so she lets him know that she believes this and also believes that he is the Messiah, the Son of God. As a result of this, Jesus shocks everyone present by calling Lazarus from the tomb, and his resurrection brought about the conversion of the people who witnessed it, some of whom were presumably those who had wanted to stone him earlier from claiming to be Messiah. The words of Ezekiel the prophet are then fulfilled in Jesus who opened up graves, and brought Lazarus up from his grave, and all knew that he was the Lord. Ezekiel was, of course, speaking about Israel’s resurrection as a nation, but read backwards, knowing what we know about Jesus, we can see that this promise of Israel’s resurrection was made concrete in the works of Jesus, the Christ. 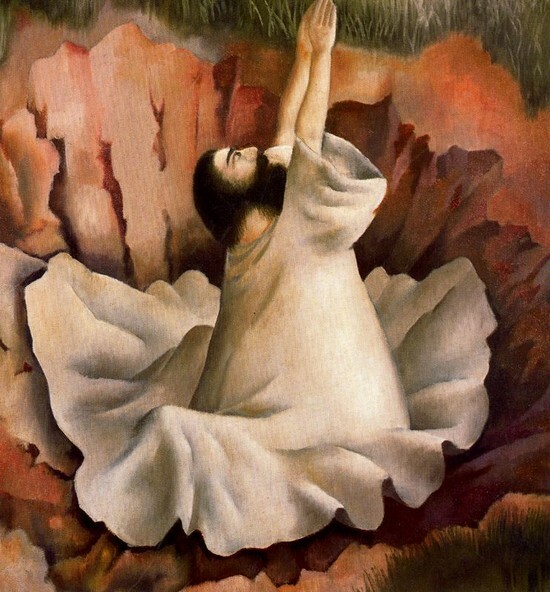 Out of the depths (Ps 130) of Mary and Martha’s despair and Lazarus’ death, Jesus has raised a man up, and in his own death will redeem us, be resurrected and “put a great spirit within us, and [we] shall live (Ez 37:14). From Ezekiel’s prediction that God will send his Spirit we read in Paul’s letter to the Romans today that we are “in the Spirit, since the Spirit of God dwells in [us] (Rom 8:9) and like Lazarus and like Jesus “our mortal bodies” will be given life. This promise, this knowledge, that we shall rise and conquer death is one of the most alluring, awe-inspiring, revolutionary teachings in our whole Catholic faith, and it is what we are about to celebrate in two weeks. But before that happens, there has to be the death, which there will be for all of us, the dark before the light. 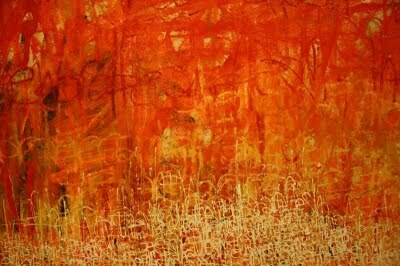 Beginning next week we begin to look at that dark, the Passion and the Suffering, the intense pain, the fear of death. How wonderful for the Church to sandwich all this suffering between the resurrection narratives so that we always keep in focus the Spring that comes out of Winter. Let us this week reflect on our own deaths, our own transgressions, our own fears, but be able to see them surrounded and sandwiched by the light of the Good News of Resurrection that Christ provides for us. By really looking at ourselves and ways we need to improve ourselves and reach out to others, we can approach this Resurrection day with less fear and trembling, but with the hope that all those who witnessed the rising of Lazarus had on that day. And this is the Good News on which we need to focus on this last week of the Lenten season before Holy Week. Reflection on the gospel reading: We have two models of the spiritual life in today’s the gospel. The Pharisee in the parable speaks a prayer to himself and relies on his own merits for his salvation, while the tax collector in the story dares not to even raise his eyes to heaven as he relies on nothing but the mercy of God. 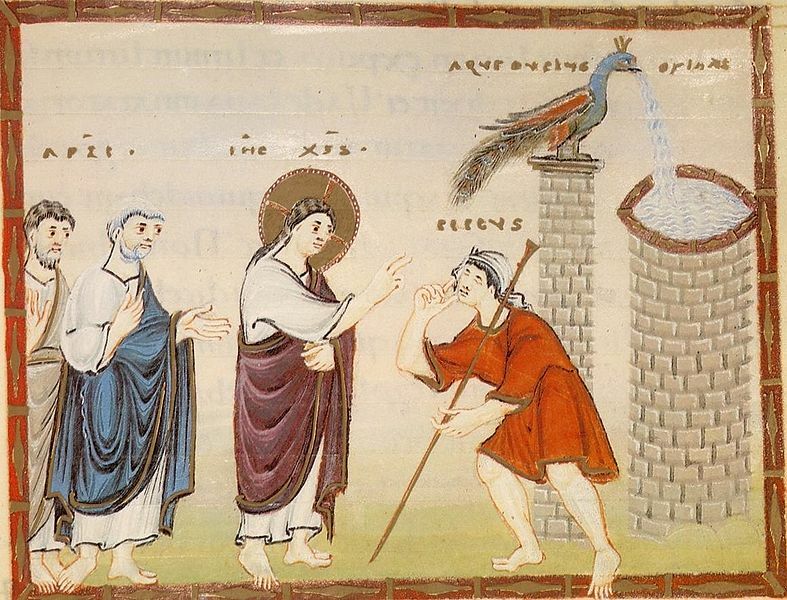 Jesus chastises the fiercely religious man in this parable. It is the public sinner whom Jesus praises, because it is humility and dependence on God, and not pride and independence, that justify us. Saint of the day: Born in 1814 near Naples, Arcangelo Palmentieri was a cabinet-maker before entering the Friars Minor in 1832, taking the name Ludovico. After his ordination five years later, he taught chemistry, physics and mathematics to younger members of his province for several years. In 1847 he had a mystical experience which he later described as a cleansing. After that he dedicated his life to the poor and the infirm, establishing a dispensary for the poor, two schools for African children, an institute for the children of nobility, as well as an institution for orphans, the deaf and the speechless, and other institutes for the blind, elderly and for travelers. In addition to an infirmary for friars of his province, he began charitable institutes in Naples, Florence and Assisi. 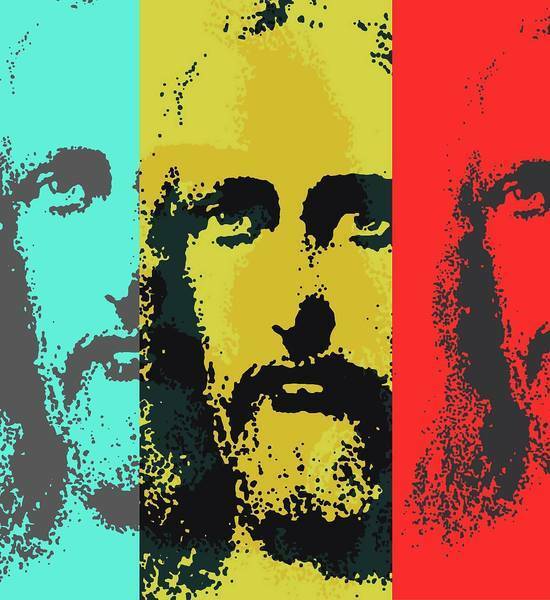 He once said, “Christ’s love has wounded my heart.” This love prompted him to great acts of charity. 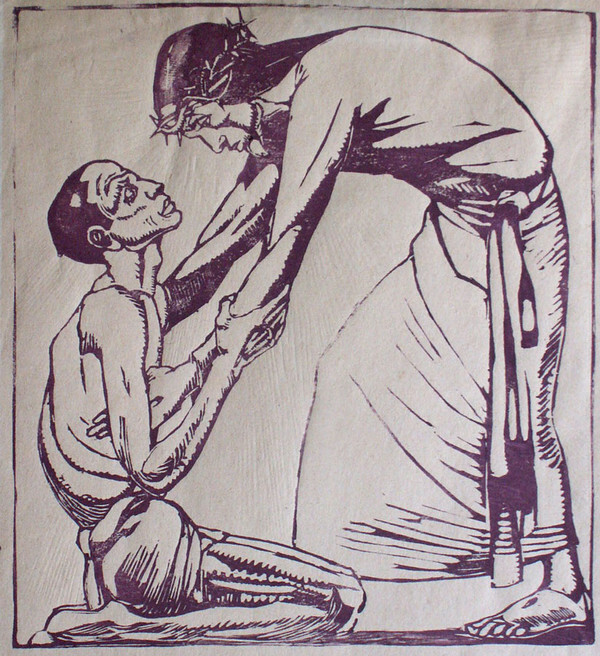 To help continue these works of mercy, in 1859 he established the Gray Brothers, a religious community composed of men who formerly belonged to the Secular Franciscan Order. Three years later he founded the Gray Sisters of St. Elizabeth for the same purpose. Toward the beginning of his final, nine-year illness, Ludovico wrote a spiritual testament which described faith as “light in the darkness, help in sickness, blessing in tribulations, paradise in the crucifixion and life amid death.” The local work for his beatification began within five months of Ludovico’s death in 1885. 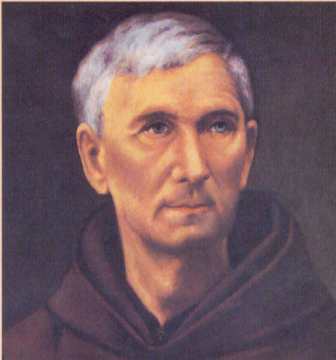 Ludovico of Casoria was beatified in 1993. One of the scribes came to Jesus and asked him, “Which is the first of all the commandments?” Jesus replied, “The first is this: Hear, O Israel! The Lord our God is Lord alone! You shall love the Lord your God with all your heart, with all your soul, with all your mind, and with all your strength. The second is this: You shall love your neighbor as yourself. There is no other commandment greater than these.” The scribe said to him, “Well said, teacher. You are right in saying, He is One and there is no other than he. And to love him with all your heart, with all your understanding, with all your strength, and to love your neighbor as yourself is worth more than all burnt offerings and sacrifices.” And when Jesus saw that he answered with understanding, he said to him, “You are not far from the Kingdom of God.” And no one dared to ask him any more questions. Reflection on the gospel reading: A passage that describes the commandments to love God and neighbor ends with the observation, “No one dared to ask him any more questions.” In Christian life, love is the last answer. We can strive to attend religious services, say our prayers, and do whatever else we believe our baptism requires of us, but in the end, what matters is love of God and love of neighbor. Without these, everything else we do is meaningless. Nothing else can be said: love is the last word. Saint of the day: Born in October 1839 in Valletta, Malta, Venerable Adelaide Cini was 18 years old when she went to knock at the door of the Convent of St. Catherine in Valletta. The nun who met her was impressed to see in front of her this thin weak daughter of a wealthy pasta factory owner seeking to become a postulant nun. The older woman became convinced of Adelaide’s spirituality, but because Adelaide was emotionally stressed following a marriage proposal that her parents objected to, the nun could only be sympathetic to Adelaide’s request. She advised her to return to her home and wait for God to show her the real nature of her vocation. Adelaide may not have understood the message but she certainly remembered it some time later when by accident she came across a young Sicilian prostitute who was becoming known for her professional success among some affluent members of society. Adelaide’s efforts to befriend this woman were successful; Adelaide soon persuaded her to move in and live with her at her parent’s home. This unusual friendship proved providential. The Sicilian woman soon afterwards quit her line of work, a transformation that encouraged Adelaide to start on a new missionary movement among the numerous abandoned girls from the economically distressed classes of the Maltese society. With the financial help of John Aspen and his wife Angelica, she opened the first home for unmarried mothers. After the death of her father, Adelaide turned his pasta factory into a conservatory for the more needy girls. 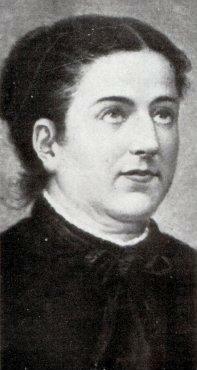 Adelaide died on March 28, 1885 and was declared venerable in 1910. Reflection on the gospel reading: When we do not want to believe something, a mountain of evidence can sit right before our eyes, but nothing will change our minds. 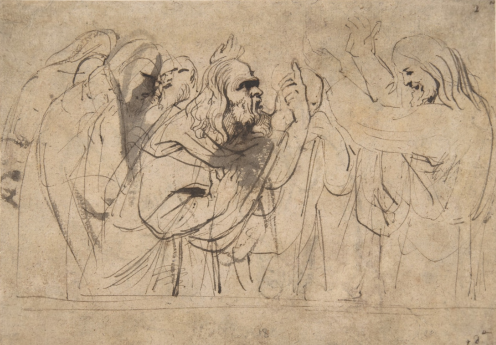 In today’s gospel, crowds hear a mute man speak, but some among them stare at goodness in the face and refuse to acknowledge what they see because it does not meet their expectations of how things ought to be. Jesus urges us to not become blind to the evidence of God in our lives. We may want to write people off, but when we refuse to honestly account for the signs God gives us, we risk missing meeting the messiah in our midst. Saint of the day: Henri Grialou on December 2, 1894 into a simple and deeply Catholic family in a mining village of the Southwest of France. From early childhood he desired to be a priest. When his formation was interrupted by World War I, he served as an officer on the front lines. In 1920 he discovered the writings of St John of the Cross, a saint who belonged to the Carmelite who lived in 16th Century Spain. Deeply inspired by his discovery of John of the Cross, Henri Grialou felt called not only to the priesthood but also life as a Carmelite. Upon completing his seminary studies after World War I, he was ordained a priest in 1922 and entered Carmel taking the religious name of Father Marie-Eugene of the Child Jesus. A man seized by the absolute of God and by the Marian grace of Carmel, he worked at making known the teachings of the Carmelite saints, believing the ways of contemplation and sanctity are open to all Christians living an ordinary life in the midst of the world. His major works, I Want to See God and I am a Daughter of the Church, provide a synthesis of Carmelite spirituality shaped by personal mystical experience. He founded the Institute of Notre Dame de Vie with Marie Pila in 1932 in Venasque, France, while serving at the highest levels in his Order and traveling extensively. Fr Marie-Eugene died on Easter Monday, March 27, 1967, the very day on which he loved to celebrate the Easter joy of Mary, Mother of Life. 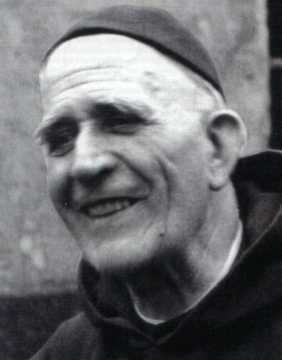 He was declared venerable in 2011. Often times when we read the scriptures, we all ready have a familiarity and a certain preconceived idea about what we read. 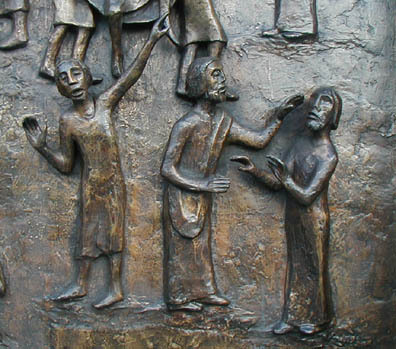 One example would be the story today of Samuel anointing David as the future king of Israel. Jesse had eight sons and to Samuel the choice seemed obvious as he observed the sons of Jesse, but God had his own way of choosing and actually chose the least obvious one. David, the youngest, was a man of heart and faith. His choice was one that stands out for the ages. From this man’s heritage would come the Messiah. 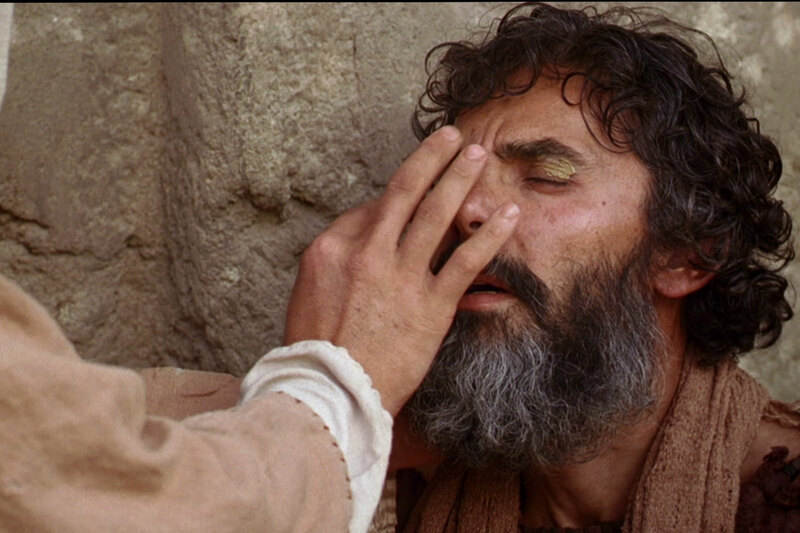 In the gospel, we see Jesus asked who was at fault for the man born blind being blind. Jesus debunked the common notion that sin of the man or his parents in some way caused the disability. Rather it occurred so the work of God could be visible in the world. 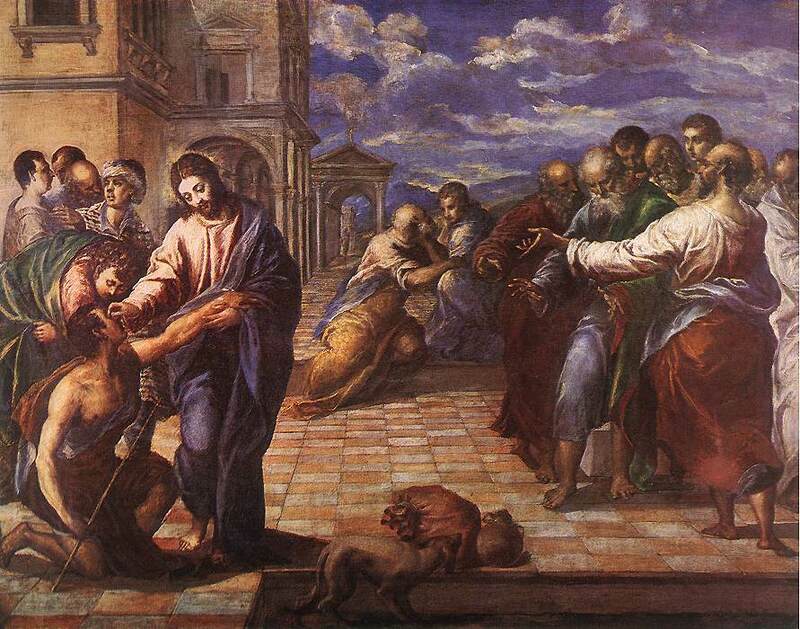 To prove this Jesus goes on his own to cure the man’s blindness, even on the sabbath. Today, we see many disabilities present in the world, and are in many ways confounded that with all our science we can not obliterate disabilities and sickness and all the other negative things in the world. We are quick to ask why God allows this or that, but forget that the choices of humans are sometimes responsible for the bad and even evil things in the world. Disabilities are still in our world and many are challenged by them as they can not picture such a thing happening to themselves or see it in some way as threatening what they see as normal. Yet here we forget that God creates each person out of love and pours his love on that person. A person with a disability is not limited in the love they can give and receive and certainly are happy in their own self-awareness. Who are we after all to judge another for their limitations when like Samuel today was told that God doesn’t look at appearances but at the person’s heart. What is the measure of a successful life? What is it that we seek? What do we expect at the end? You know we can have eyes and still not see. Any parent knows they love each of their children for who they are, each as they are unique and loving. So it is with God. Each of us is born to be called and loved by God for who we are. Now is a good time during lent to look at ourselves and ask if we are in any way preventing the love of God from reaching us and through us to others. Is our heart open and receptive to all? Can we really embrace those whose abilities fall short of our expectations? In a few weeks we will be celebrating the Resurrection of Christ, the most important moment in history. To return from the dead and to be seen and heard and touched has sealed our faith and has been passed on to us through the centuries. As science has changed the world, so has the Christian faith grown and embraced many. We have been brought to God through Christ’s love and through him to each other to share that faith. His mission to go out to all the world, still remains an active charge even today. Reflection on the gospel reading: Jesus says he does not come to abolish either the law or the prophets, but to fulfill them. He comes not to downgrade the law but to transcend it. Jesus in the passages that follow this one provides six examples of how the law seems to demand a particular behavior which Jesus explains refer specifically to interior dispositions. So it is not sufficient for example that we not kill; we are called to reconciliation. When Jesus starts his ministry, the scribes and Pharisees in their mastery of an outward practice represent the ideal form of obedience to the law and the prophets, but Jesus teaches that true observance of the law is entirely an affair of the heart. Saint of the day: Born in 1556 as Margaret Middleton at York, England, Margaret Clitherow was the daughter of Thomas and Jane Middleton, a candle maker and the Sheriff of York for two years. Raised Anglican, she married John Clitherow, a wealthy butcher and chamberlain of the city of York, in July 1571. She converted to Catholicism around 1574. She was imprisoned several times for her conversion, sheltering priests (including her husband’s brother), and permitting the celebration of clandestine Masses on her property. During her trial in Tyburn in March 1586, she refused to answer any of the charges for fear of incriminating her servants and children; both her sons became priests, and her daughter became a nun. She was pressed to death on Good Friday, March 25, 1586 at York, England. She is one of the Forty English Martyrs. Reflection on Sunday’s readings: The town of Nazareth in Galilee likely had about 200 people in it around the time of Jesus’ coming into the world. It seems it was sufficiently down on its luck that the Gospel of John ironically asks, “Can anything good come out of Nazareth?” It is into this beguiling simplicity that an awesome announcement comes. Mary says, “Yes,” in a small house in a small town which most people knew nothing about, and those who knew anything about it held in little regard. But from that small “yes” in a small house in a small town with a small reputation came an event that forever altered the course of human history, for nothing is impossible with God in Mary’s life or ours. Saint of the day: The feast of the Annunciation of the Lord celebrates the angel Gabriel’s appearance to the Virgin Mary (Luke 1:26-38), his announcement that the Blessed Virgin had been chosen to be the Mother of Our Lord, and Mary’s fiat—her willing acceptance of God’s holy plan. Originally a feast of our Lord, but now celebrated as a Marian feast, the feast of the Annunciation dates back at least to the fifth century, and the date of the feast, which is determined by the date of Christmas, was set at March 25 by the seventh century. 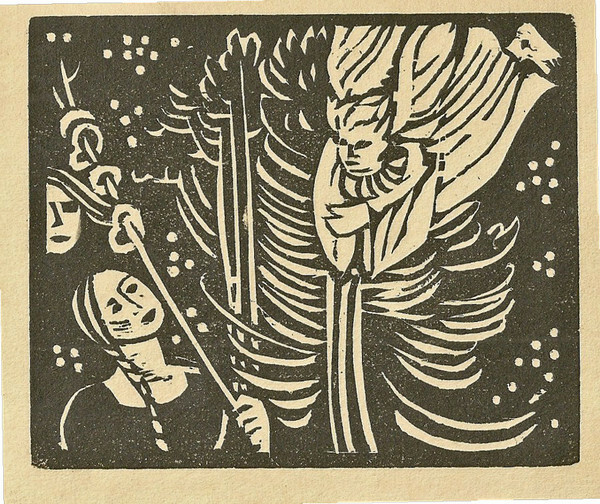 The Annunciation, as much as or even more so than Christmas, represents Christ’s Incarnation. When Mary signaled to Gabriel her acceptance of God’s Will, Christ was conceived in her womb through the power of the Holy Spirit. While most of the Fathers of the Church say that Mary’s fiat was essential to God’s plan of salvation, God foresaw Mary’s acceptance of His Will from all eternity. The narrative of the Annunciation testifies powerfully to the truth of the tradition that Mary was indeed a virgin when Christ was conceived.